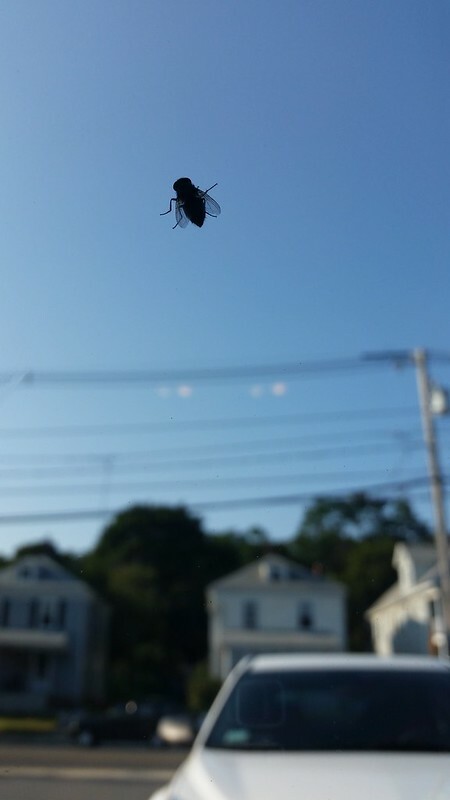 A fly on a glass window. I think I did a picture like this before, but I just can't resist a good "giant bug in the sky" kind of photo. I wish it stayed still more and I could play a bit more to make it look a bit more scary as if it were a real giant bug in the sky, but the fellow wouldn't acquiesce. I did go back and forth with this photo, thinking about cropping out the car and telephone wires but it didn't seem much better in terms of its giant-scary-bug factor. Oh well, I'll just have to deal with it being a decent picture of a fly. If you click through to Flickr, you can see some decent detail on the wings.